Cisco Unified Communications resellers are Cisco partners dedicated to the sale and support of Cisco’s communications solutions platform. These value-added resellers often add additional services or features to the platform based on the client’s needs. A Cisco Unified Communications reseller aims to save clients money and increase their productivity. Cisco Unified Communications allows buyers to communicate effectively and securely both inside and outside their organization. With applications that are compatible with computers, tablets, and mobile devices, customer-facing employees can efficiently communicate with colleagues and customers from any location. Cisco Jabber and Cisco Spark among the products offered within the Cisco Unified Communications platform. Cisco Unified Communications Resellers reviews by real, verified users. Find unbiased ratings on user satisfaction, features, and price based on the most reviews available anywhere. 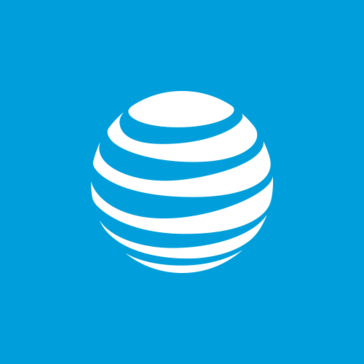 AT&T uses its network, labs, products, services and people to create a world where everything works together seamlessly. 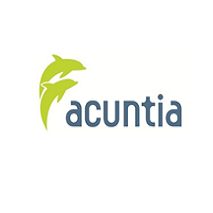 Acuntia is a technology consulting company specialized in IT and network solutions. Anittel is a national IT, cloud and telecommunications company focusing on supporting the IT&T needs for organisations across Australia. AOS specializes in architecting, implementing and supporting an expansive portfolio of solutions. These offerings range from Enterprise Network, Unified Communications, Storage and Virtualization to Physical and Information Security, Managed Services, GIS, SharePoint and more. BT is a provider of communications services and solutions, serving customers in 180 countries. Bynet Data Communications offers comprehensive solutions and services that provide complete answers to organization's ICT and telecom needs. CenturyLink® Unified Communications and Collaboration (UC&C) solutions combine adaptive networking capabilities with a complete portfolio of leading technologies on a secure global network with end-to-end support. CenturyLink® Unified Communications and Collaboration (UC&C) solutions combine adaptive networking capabilities with a complete portfolio of leading technologies on a secure global network with end-to-end support. Our extensive UC&C portfolio includes cloud, hosted, and fully managed services built upon best-in-class applications that can be sold, provisioned, and managed as a solution, wrapped with a customer success practice. CenturyLink UC&C Solutions: • Cisco WebEx delivered by CenturyLink - dynamic online meetings with integrated collaboration tools • Skype for Business, Managed by CenturyLink - holistic UC&C platform integrating network, hosting and communications • Amazon Chime delivered by CenturyLink - cost-effective, fully-supported, easy-to-implement UC&C experience that solves many challenges of digital transformation • CenturyLink Ready-Access - global, reservationless audio conferencing solution • BlueJeans delivered by CenturyLink - high-quality, secure, scalable, cloud-based video collaboration system • CenturyLink Managed Video Conferencing - cloud-based conferencing solutions connect users and stakeholders around the world • CenturyLink Managed Event - flexible dial-in options, secure meeting access, and streamlined scheduling and attendance — with our professionally trained operator and customer care staff • CenturyLink Managed Webcasting Services - powered by ON24, allows users to distribute multimedia content through a customizable, interactive interface. • CenturyLink Web Meeting - intuitive, online experience that makes online meetings and webinars easy"
circular is a technology consulting company specialized in IT and network solutions. Computex Technology Solutions is an national IT solution provider focused on helping customers transform their businesses through technology. Comscentre is an Australian owned organisation providing corporate grade, managed communication services for UC, fixed-line voice (SIP), internet services and video conferencing throughout Asia Pacific. Equivoice is a Cisco service provider that specializes in providing cloud and cloud access. Fidelus Technologies is the industry's provider of innovative Unified Communication and Collaboration (UCC) Solutions. IVCi is a provider of collaboration solutions designed to bring people togethe. Long View provides l IT solutions and services to companies in North America, with offices across the continent. Meriplex Communications is an enhanced service provider specializing in communication solutions for the enterprise market. Complete solutions for managing apps, data and devices in a fully integrated platform. Hi there! Can I help you find the best Cisco Unified Communications Resellers solutions?